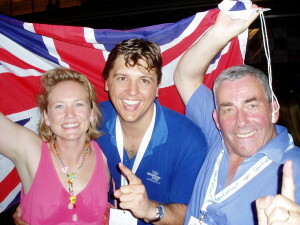 Those magic words, uttered by the then IOC President, Dr Jacques Rogge, in Singapore on the evening of 06 July 2005, were a life-changing event for me and many of my colleagues, as well as for numerous other people, businesses and organisations across London and the UK. It was a moment of great celebration as well as for contemplation of all the hard work to follow. One of my abiding memories of that evening was a strange tingling sensation in my left leg, only to realise my phone was continually vibrating with goodwill messages from friends and colleagues all over the world. In that instance I realised I had been part of something that had really touched people. We were stars on top of the world. It felt good. Sadly and horrifically the next day saw four terrorist bombs exploding in London, causing a life-shattering moment for others. Lives cut short; Olympic celebrations on hold – but an un-extinguished determination to carry on. Proud yet numb; happy and angry; uncertain but determined – it was a strange mix of emotions for embarking on such a major undertaking. He was of course right. The original plans submitted as part of the London 2012 bid would have been a stretch too far. Harsh realities soon kicked in and the size and configuration of the Olympic Park were severely tested through a so-called ‘optimisation process’ – reduced size, venues relocated, less compulsory purchase orders and relocation of existing businesses, all in a drive to contain costs. Even so, not long after winning the bid, a massive upward revision of the cost of delivering the Games was announced. For £2.5bn, now read upwards of £9.5bn. It was controversial then, but that was at least before the global banking crisis of 2008. Imagine trying to get that through nowadays. Of course, I am very glad we did. As is often the case, mega-projects require a leap of faith and an exceptional sense of purpose and vision. We certainly had that. Despite the ‘optimisation’, the essence of the plan remained the same. 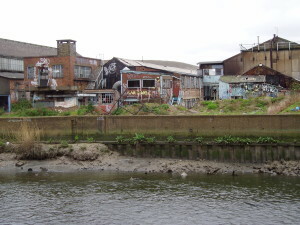 A large, under-developed and severely degraded post-industrial landscape was to be totally transformed. It was a massive and audacious undertaking. 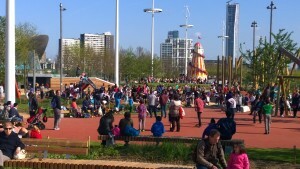 Today, ten years on from winning the bid, and nearly three years since those amazing Games of 2012, the Queen Elizabeth Olympic Park is an exciting, popular and much-used new amenity in east London. The temporary venues are gone; the remaining permanent venues all have long-term operators; the former Olympic Village is now a residential community; and the parklands that surprised and delighted visitors to the Games, are a focal point of the park. It is a great place to visit and where people can work, live and play. New wildlife habitats have restored the ecology of the area and the reprofiled river corridor provides vital flood alleviation to thousands of properties. The park is not yet the finished article, but there is an overwhelming sense that the London 2012 Games kick-started a fundamentally beneficial transformation of this part of London – the much sought ‘legacy’ we were all striving for. 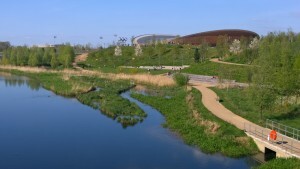 In fact our legacy is much wider than the hardware and geography of the former Olympic Park. Meeting people around the world during the nearly three years since the Games, I have repeatedly seen how much of what we did has really touched people and made them see things differently. This spans from basic perceptions of the UK to more practical appreciations of new standards in event delivery. In my field of sustainability I have been humbled and delighted to see how much of what we did has been appreciated and taken forward by others. Major, global institutions and corporations are adopting standards and processes that we first developed. Whether it be our sustainability management system (which is now formalised as ISO 20121), or our sustainable sourcing code, carbon footprint methodology, food vision or reporting framework, there are examples all over the world of these being used and adapted to current situations. The International Olympic Committee has placed sustainability and legacy as central components of its reforming Agenda 2020. While this has many geneses, there is certainly a lot of London 2012 in its conception. That means we will continue to have an influence on Games of the future. Ten years on and our story is not yet finished. That is truly something to make us proud.